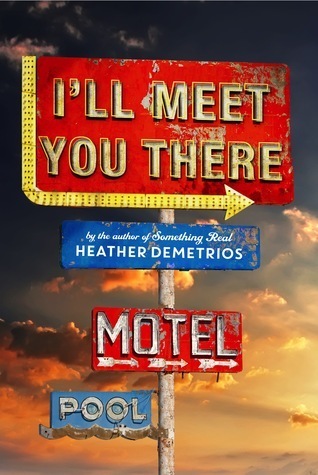 Both books deal with tough stuff and kissing, and both decided to don a staple of Americana: the old-school roadside Vegas-style light-up motel sign. IMYT lays over a sunset/sunrise background that fades to blue; KIA takes a darker, faded out-West photo. Both accessorized with arrows, but IMYT goes with a faded primary color scheme, while KIA jazzes it up with punchy pink and cyan. It's a tough call, but I'm going with KIA on this one. The sharp angles and huge presence of KIA's signage scream "Look at me!" and the blurb at the top is a cute touch. It feels in-your-face. There's movement. IMYT is just a little too lackadaisical with all the signs on a horizontal plane, static, and leaving tons of sky-filled dead space. If I were walking in a store, I'd pick up KIA first. I like this! I shared these two covers (along with The Chapel Wars) last year in a feature. I think I agree about liking the KIA a bit better. I like how the signs are at an angle rather than just being horizontal on the cover like you said. Ooh, cool! I'd love to check that out. I agree, the angle makes it a little more dynamic. I actually thought these were the same book. When whichever came second came out, I thought people were reviewing the book I'd already seen before. They are VERY similar. I think I like I'll Meet You There better because the title is easier to read. 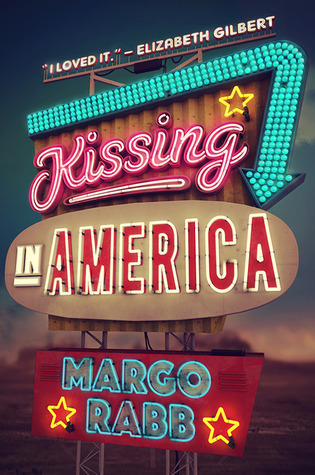 Kissing in America is a little cluttered and overwhelming to my eyes. Right? It's amazing how similar the covers are. I can see your point there. I think you liked IMYT better for the same reasons I didn't like it as much. This is why I love this feature; it's cool to see how everyone reacts! I agree re: cover although I've heard nothing but amazing things about I'll Meet You There and quite the opposite re: Kissing in America. Oh, IMYT is a great book. I haven't actually read KIA. This is purely cover-based!